Today (April 18, 2013) is the fourth death anniversary of a legendary man of unparalleled faculty, whose life encompassed a sheer, rich versatility. The world of Sri Lankan screenplays, movie directions, performing/acting, political activism, writing and analysis was undeniably enriched by this startling human being, that possessed knowledge in each of the aforesaid spheres, and much more, in a manner that surpassed that of a routine intellectual. 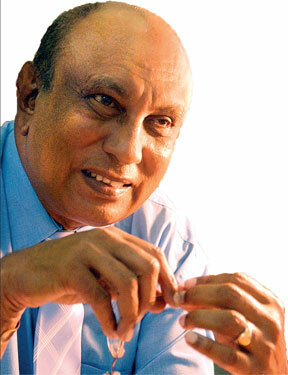 The man who was fearless to dream of even the most impossible, and remained zealous in turning the same impossible dreams into reality was none other than Tissa Ananda Abeysekera Guneratne de Fonseka, more often than not known as Tissa Abeysekera. Born in a railroad town, twelve miles southeast of Colombo, namely Maharagama, to parents Sir Arthur Solomn de Fonseka and Lady Agnus de Fonseka, Tissa stepped into a career in the field of “Art,” using his gifted aptitude, to begin as a short story writer in the Sinhala medium. Though highly connected to Mudliars to the order of Ceylon, as well as Gate Mudliars to the order of the Queen of England, Tissa’s parents remained middle class citizens. He was only a teenage schoolboy, at the time his initial short stories saw their way through to be featured in renowned national publications of the day such as Dinamina and Janatha broadsheets. Being a child of a father, that, in the year 1949 had even declared bankruptcy due to immense loss of wealth, Tissa once proclaimed that due to deprived health, he had been tutored at home, having not seen a school until the age of eleven. Subsequently, as a result of the family being unable to afford to have Tissa tutored at their abode in Maharagama, he had been admitted to, and educated at the Pannipitiya Dharmapala College, where young Tissa excelled as a stupendous marksman, as both a junior and senior cadet. Sometimes in life, it’s that gut feeling that draws you away from a path, if it had been taken, that may have been healthier in terms of material wealth, personal gain and perhaps even reputation in certain given orthodox societies. Tissa was an artiste, indeed atypical in calibre, who saw society through an artistic lens, yet equally felt the distress that humans did undergo in this riddle called life. He had a deep concern as society served people unjustly, by segregating the deprived and garlanding the affluent, in extreme mindlessness. He was a man who was born to sense sight as well as sound, and yet was able to uniquely distinguish their margins. He clutched these every day attributes in life, and transformed them into a work of everlasting art, either in the form of literature that carried great weight in printed form, or images in motion that unfolded tales through the magical cinematic reel. Being an unswerving socialist, as well as a noteworthy member of the Lanka Sama Samaja Party (LSSP), he stood above insignificant characteristics of division in society such as language, religion, social status, race, caste and creed, thereby giving absolute meaning to the unparalleled teachings of the Buddha. This cinematic luminary of our times indisputably dwells in the hearts and minds of a mass of people, as the best script writer that Sri Lanka may have ever produced. By saying so, my thoughts instantly yank me over to a segment of one of his works, in which he marks in print, a recollection of one of his cinematic creations. The title is “Ayale Giya Sithaka Satahan,” a reminiscence of memories spanning over a few decades of his astounding life, and in one of its chapters, Tissa describes the hard time he and music composer of the movie "Mahagedera," Mr. Sarath Fernando underwent in selecting a piano piece to highlight the one and only happy moment of the Malwinna family, around whom the plot is woven, and finally how they came up with "Nil Ahas Thale Ageh." It indeed is a book worthwhile reading, amongst his many others, including “Bringing Tony Home,” which won the 1996 Gratiaen Prize for the Most Outstanding Piece of Creative Fiction by a Sri Lankan resident for his novella, and "In My Kingdom of the Sun and the Holy Peak,” to name a few. 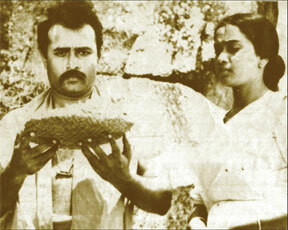 “Keti-Kathawa,” the initial screenplay written by Tissa and directed by Dr. D.B. Nihalsinghe unveiled the magical journey, in which Tissa focused on materializing the screenplays of three of the best ten movies in Sri Lanka - Gamperaliya, Nidhanaya and Viragaya. The other screenplays of note movies generated by Tissa are Welikathara, Akkara Paha, Kalu Diya Dahara, Weera Puran Appu, Ganga Addara, Ahasin Polowata, Podi Malli, Karumakkarayo, Mahagedera, Kulageya, Guru Gedara, Loku Duwa and several others. He also directed award winning movies, also named above, such as Karumakkarayo, Mahagedera and Viragaya, as well as teledramas such as Dolos Mahe Gangawa, Wanasarana and Pitagamkarayo. I was not amongst those fortunate few, who may have had the opportunity to have been among his close associates and attain inspiration through such priceless relationships. Nevertheless, I still feel fairly fortunate, as I reminisce on that ten-minute gracious chat with Tissa, at the Sri Lanka Television Training Institute (SLTTI) back in 2004, during a moment which shall be treasured evermore, in a special corner of my heart, along with gratitude for his benevolence after he had assumed duties as Director Film Corporation in July 2004. He remained in the post until December 2006. 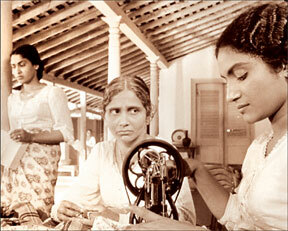 Tissa’s contributions to the modern local cinema and literature are undoubtedly mammoth beyond expression in mere words. He shall remain a soul that proudly, yet humbly marches into history as one of the “greatest intellectuals of our times,” and his distinctive ability to excel in both Sinhala and English undoubtedly further decorated his accomplishments, that he left behind for many a generation, including the yet unborn, to profit from. Our duty shall remain to shield, dispense, share and treasure his invaluable works, thus enlightening the generations that may lack awareness of an irreplaceable personality such as Tissa Abeysekera. May his journey through Samsara be concise!